B9Creations offers professional-grade 3D printing solutions that help businesses produce high-resolution prints with low operating costs. They are committed to all of their customers who are located in over 50 countries around the world and work in industries like Jewelry, Prototyping, Manufacturing, and Dentistry. The DLP 3D printer leading in speed, simplicity, and value. The B9 Core Series delivers production-grade parts with post-processing to match. Simple, fast, automated - so you can focus less on the process and more on proven results. Simplify your day-to-day workflow with this high-intensity, UV post-curing solution for resin models called the B9 Model Cure. 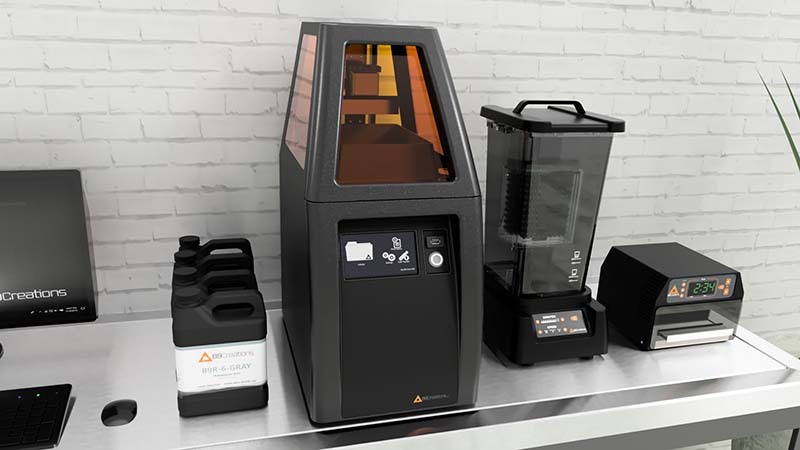 It's ready to deliver precise, reliable, and ready-to-cast models in minutes straight from your B9 Core 3D Printer. The B9Clean is the easiest no-mess, glove-free cleaner for SLA/DLP prints. 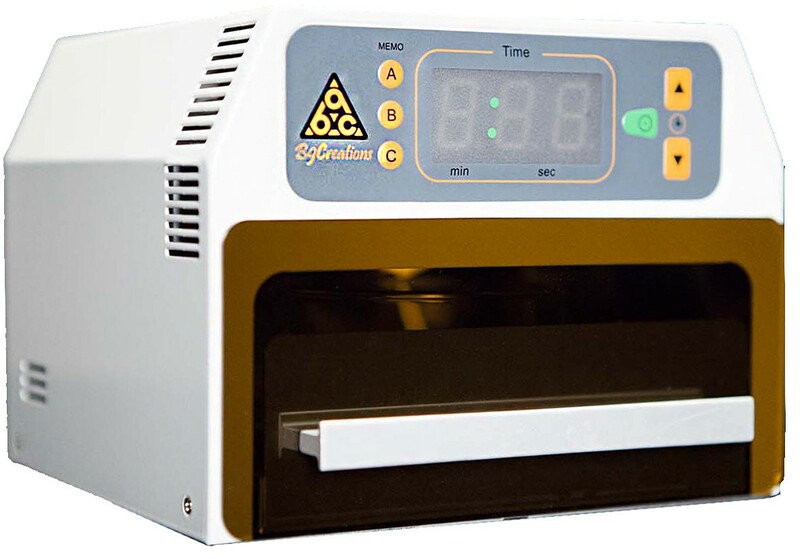 It is an automated cleaning system that offers a one-push operation, making it easy to transfer prints directly from yourB9 Core Series 3D printer. Bring your ideas to life. The B9 range of design materials is ideal for high-resolution rapid prototyping and design verification. With a smooth surface finish, dimensional accuracy, and precise detail, these resins produce excellent prototypes for iterative product design for and make a great base for parts that will be primed or painted. High-strength, fast-curing resin ideal for fine features and detailed parts. May be primed or painted. Excellent resin for using printed parts to create creating vulcanized, RTV, or silicon moulds. Ideal for dimensional accuracy, high-speed prototyping and design verification. Print speeds of 120+ mm per hour. With ABS-like strength properties, Gray Resin can extend your functional prototyping into production value. A castable resin pigmented for thicker slicing and faster printing. Slices from 70 μm to 200 μm on the B9Creator. May be primed and painted. Printed parts may be used to create silicon or RTV moulds. The B9 range of castable resins prints in incredible detail, with a jeweller-approved burnout schedule that produces flawless results in silver, gold, platinum, and more. Coupled with our high-speed Gray resin for showing customers their rings to enable same-day sales and Black resin for mould making, you can create rubber moulds and facilitate mass production of your designs. The ultimate casting resin. Ideal for companies looking for the most complete burnout and castability. Our fastest-printing casting resin also leaves no ash. Casts into gold, silver, platinum, and more. May be primed or painted. May be used to create RTV or silicone moulds. Provides clean burnout, enables casting of thicker objects, and prints with readable detail to show the finest features of any design. Casts into gold, silver, platinum, and more. May be primed or painted. May be used to create RTV or silicone molds. A castable resin pigmented for thin slicing and sharp details. Slices from 30 μm to 50 μm on the B9Creator. May be primed and painted. May be used to create vulcanized rubber moulds. Optimize your manufacturing process with our engineering materials, iterating designs more quickly, assessing form and fit, and bringing better products to market - all while increasing efficiency and adding more profit to your bottom line. Perfect for rapid prototyping and end-use applications, our engineering materials that can withstand the manufacturing environment. With low modulus, high impact strength and elongation, and low moisture absorption, Rugged is ideal for snap-fit and wear-resistant parts. Equivalent to injection-moulded nylon, Rugged can replace injection moulded components. Well-suited for functional testing and low- to mid-volume production runs.